Vacancies at Star Photo Booths in Leeds. Star Photo Booths have vacancies for part-time Photo Booth Attendants. You must be reliable, out going, fun, confident, enthusiastic, personable, self-reliant, and have the ability to learn the technical skills required to run events smoothly. * Experience with digital photography, film, or electronic equipment is a plus. 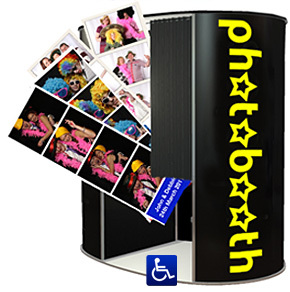 Please send me details of your Fun Photo Booth Hire for weddings, parties and events.